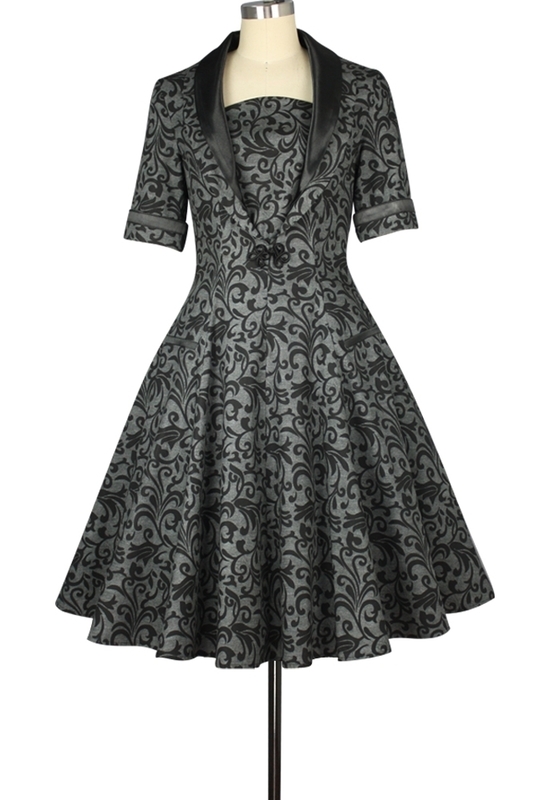 This dress features a satin lined collar and a frog clasp on the front. The front functioning pockets and folded cuffs are trimmed with satin. Side zip. The petticoat is not included.